Sludge or post-metal is often described as something very noisy and very chaotic. However, every now and then a band shows up and completely destroys every prejudice and every expectation. These are bands that can finally pull the listener into a certain genre. With bands like these the quality of the music is a bit (or a lot) higher than usual, or they incorporate new and refreshing elements into their music. Italian based quartet Nudist is one of those bands that are worth listening to, even if the earlier mentioned genres are not really your thing. And if they are, well, what are you waiting for? Get your hands on this epic piece of extreme music. Nudist is a four-piece but two members play drums. So there's only room left for a bass player and a guitarist. Yet, as far as sound is concerned, they don't have to vail for the tremendous power of the drums. Nudist is blessed with a solid, heavy sound and excellent musical skills. They have been able to throw many different influences into their own sound, resulting in something that can best be described as psychedelic post-something. In some aspect the music resembles modern-day stoner doom but the presence of thrash metal and industrial influences, and even noise, give this album an extra touch. In many of the songs on this full-length I hear flashes of Nailbomb while on other occasions we're not that far away from the depressive black metal of Nortt. Yet, old thrash and speed metal are just lurking around the corner, creeping into the highly atmospheric music of Nudist every now and then. It's these influences that make me like this album a tad more than others in this style. 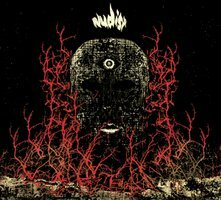 The combination of these extreme metal genres gives Nudist an edge that few bands possess. In title track 'See The Light Beyond The Spiral' all of this comes together to create an epic song that is both melodic and powerful at the same time. It feels like the four members are very experienced musicians, each having played in a number of different bands before. Most of the songs, especially 'Blind Spiders' remind me of bands like Black Heart Rebellion. Long instrumental passages and vigorously screamed pieces alternate with suberb guitar riffs and almost psychdelic noise. This third full-length definitely has the power to put Nudist on the forefront of today's post-whatever scene, mostly because is simply effin' epic.